Get the list of the biggest photos and videos on your iOS device. Preview them and easily remove unneeded ones which take up the most space of your storage. It’s easy and quick. Just swipe down to move files to Trash and then remove the selected files from Trash. 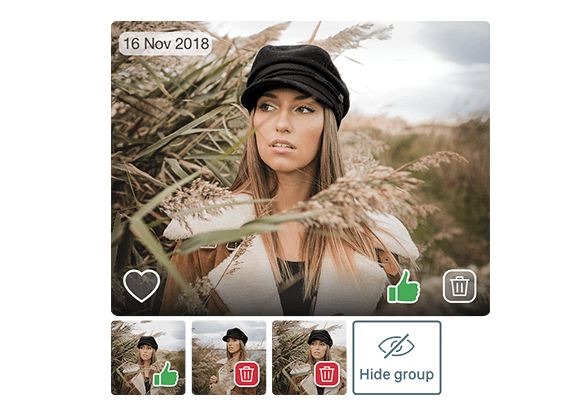 Find and remove useless similar looking pictures, freeing up valuable storage space. Going through your photo library and trying to sort and delete similar shots manually will take up a huge amount of time. 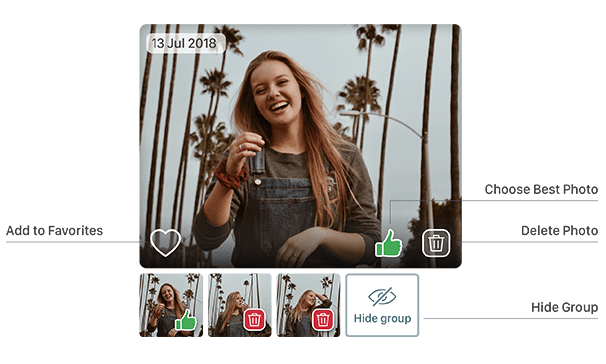 But Phone Cleaner for Media Files will find them in a less than a minute and provide you with a quick way to clear unneeded similar pictures. When you’re viewing the biggest files or similar photos with this phone cleaner, you may need to protect some files from accidental removal. You have several options for this. Click the Hide button to exclude a set of similar pictures from view. Click the Hear icon to add the photo to Favorites and exclude it from the set of similar pics and videos. 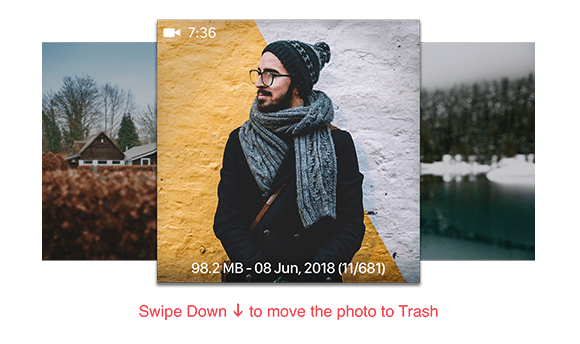 Click the Like icon to keep the photo and automatically move other photos from the set of similar files to Trash. 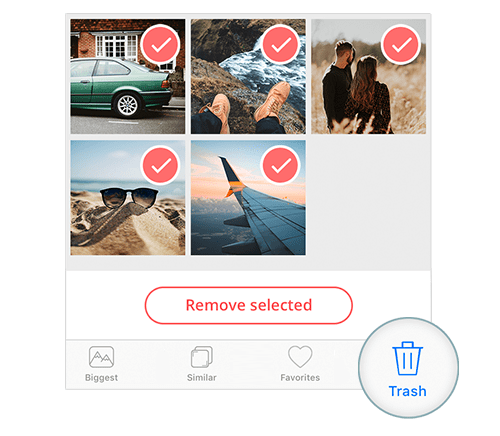 Once you’ve selected all unneeded photos and videos, switch to the Trash section and click the Remove Selected button. If you need to, you can also uncheck the selected files before removal. Anyway, when you remove the clutter, the app deletes it to the iPhone Trash. So you can recover any file or delete them in bulk by emptying your iOS device Trash.